Cosworth has today marked its 60th anniversary with a special event at our UK headquarters in Northampton. 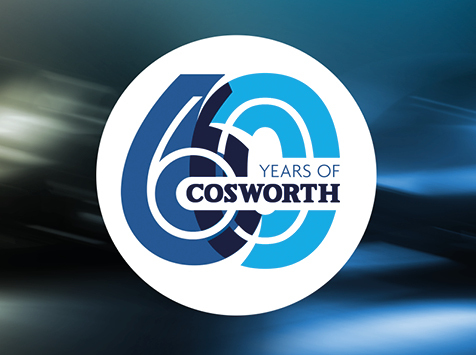 ‘Cosworth: 60 Years and Beyond’ has taken a look back at six highly successful decades for the company, while outlining the leading role that Cosworth is playing in the future direction of the automotive industry. Founded by Mike Costin and Keith Duckworth (the Cos and worth respectively) in September 1958, and initially operating out of a garage in north London, the company had one mission: to change the boundaries of what could be achieved through engineering by ‘messing about with race engines’. And so Cosworth was born. Moving to Northampton in 1964, we would quickly make a name for ourselves with the creation of the iconic Double Four Valve engine, better known as the legendary DFV. With 155 wins in Formula 1 from 1967-1983, the DFV became the power unit of choice for driver and manufacturer world champions, and propelled Cosworth to become the most successful engine manufacturer in F1. Since 1987, we have also been innovating in the field of motorsport electronics. Founded under the name Pi Research, Cosworth Electronics created one of the first “black box” and data loggers to be used in motorsport. We have since gone on to revolutionise the role that electronics and data analytics plays in motor racing – with presence in almost all race series from Formula 1 to IndyCar, World Rally to World Endurance, and counting every major automotive manufacturer as a customer. We have used the rigours of motorsport to transform ourselves into a growing and profitable Tier 1 supplier to automotive manufacturers in recent years. It is this strategy that forms the backbone of our future growth plans. Cosworth opened its Advanced Manufacturing Centre in 2015, a new 38,000sq ft facility, which was the result of a £22m investment supported by our shareholders, the Department for Business, Innovation and Skills, the local government and Northampton Borough Council. In just three years, the AMC has helped Cosworth reach record revenue levels. Neatly coinciding with the 60th anniversary, the 30,000th engine block rolled off the line at the AMC at the end of September, marking another important milestone. We continue our international expansion with a brand new facility in Detroit, North America. From this state of the art facility, we will continue to support its existing OEM customers in the US market – while giving our business a platform to meet future demands. Based in Shelby Township, Michigan, the North American Headquarters opened on June 25, 2018 and houses a second Advanced Manufacturing Centre that spans 60,000 square feet. It will produce powertrain and electronics solutions to support clients in the North American market. Cosworth is also developing new solutions from battery sensor technology through to integrated vision systems for autonomous cars. Cosworth already has an order book in place up to 2026 with £320m from long-term contracts and revenues at record levels. Partnerships with General Motors, Aston Martin, Honda, Haitec and Porsche allow us to play a key role in determining the future direction of the automotive industry. Our involvement in the UK government’s Multi-Car Collision Avoidance project places Cosworth at the very heart of the connected and autonomous vehicle agenda. Whether it is through propulsion, hybridisation, connectivity or automation technology, we are ready to solve the new challenges on the road, racetrack and in the air with the mobility solutions of the future. Here’s to the next sixty years! “The automotive and motorsport landscape has made significant technological advances over the past six decades,” explains CEO Hal Reisiger. “In response, Cosworth has continually developed technologies to meet evolving demands from our customers.